Welcome to Conan Exiles RP! The story and art contests are now closed and the winners have been selected! Thanks to a generous donation we were able to award both a first and second place in the Story contest! First place in the story contest goes to bluehaze . Second place in the story contest goes to Gorbish . The winner of the art contest is Rathotep . Well done and thank you all for participating! We'll do it again when the NEXT DLC drops! News! 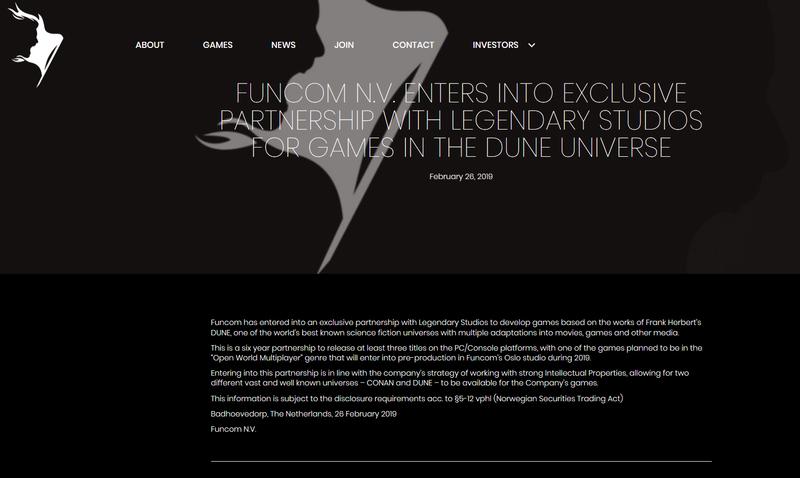 Funcom to begin production on DUNE!